The Bio Tuner by SOTA is an easy-to-use relaxation product for stress relief. It outputs harmonic frequencies to promote health. This unit features an automatic built-in timer for 20-minute sessions. The Bio Tuner is a consumer product designed to be used as part of a Wellness Lifestyle. A commitment to healthy lifestyle choices is an important factor in the journey to Wellness. The SOTA Bio Tuner supports the mind-body connection. It outputs a broad range of harmonic frequencies helping to create an inner sense of calm, balance and tranquility. 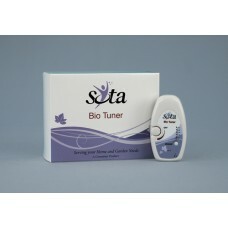 The Bio Tuner is designed to be used independently, but can also be used together with any of the SOTA Products. With proper care, your Bio Tuner should provide you many years of trouble-free use.